1-CD DigiPac (6-plated) with 52-page booklet, 28 tracks. Playing time 79:57 mns. 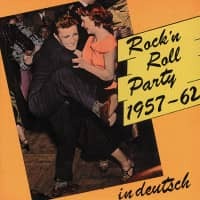 The German schlager scene of the Fifties and Sixties resulted in a wealth of outstanding tracks and unjustly neglected rarities to tantalize casual fans and collectors alike. 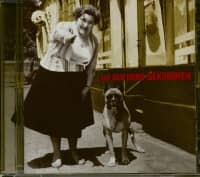 Even now, some 40 years later, there are still unheard or forgotten songs to be rediscovered, something unusual even for the most die-hard fan. 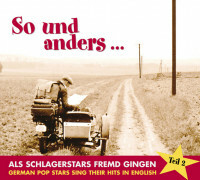 Occasionally, big schlager hits were covered in English in much the same way as big American or British hits were sometimes re-recorded in German. 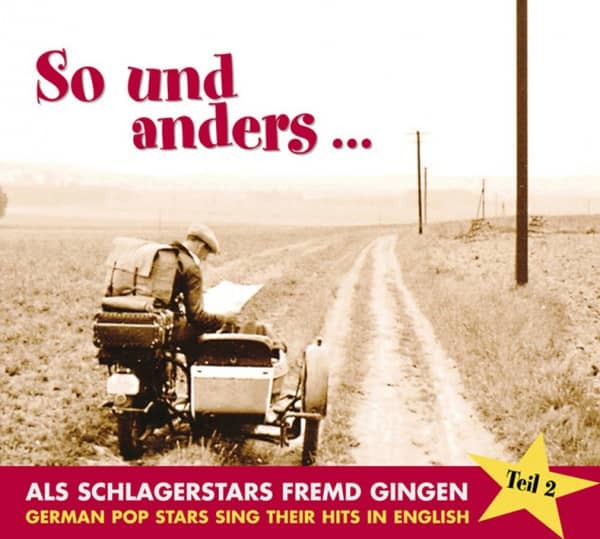 Barely remembered today, these versions are a bonanza of great music from the top rank of schlager stars, such as Freddy Quinn, Manuela, Bernd Spier, Heidi Brühl, and Conny Froboess. 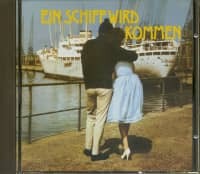 With schlager songs dominating the German charts, record companies tried to broaden the stars' appeal to the Anglo-American market, but the anticipated crossover never happened, and the English language versions became forgotten curios, now highly sought-after. Gino (Zwei kleine Italiener). The English and German versions can be heard side-by-side. 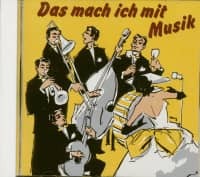 The translated lyrics produced several oddities, such as Gus Backus' Der Mann im Mond (The Man In The Moon), which became Queen Of The Stars. There are some truly oddball items here, too, including I'd Rather Buy Myself A Tyrolean Hat! Customer evaluation for "So und anders Vol.2"